China sweeps aside civilians in rush for hydropower – The Guardian European expertise is helping China expand its hydroelectric capacity on a scale that dwarfs similar global initiatives. The great grey wall cuts across the valley of the Jinsha river, a tributary of the Yangtze. Downstream from the dam, the yellow water gushes down the spillway from China’s third most powerful hydroelectric plant. It races on past the city of Xiangjiaba, on the border between the Sichuan and Yunnan provinces, a featureless place with a maze of factories and chimneys built into the urban fabric. Its only claim to fame is the wall 200 metres high that now overshadows it.// Great overview of the immediate human cost of hydropower. Remembering, and Forgetting, the Flying Tigers – NYT An neglected graveyard in south China has reopened a debate over how the country remembers its World War II veterans. Few of my Chinese friends in Kunming know much about about the Flying Tigers… A ‘Flying Tigers Trail’ tour from Kunming to Mandalay would be a great trip. Hoy Fong’s Sriracha Hot Sauce: How It Earned a Place Beside Ketchup and Mustard – The Diplomat David Tran came to the United States in 1980, fleeing the arrival of North Vietnamese forces into his native South Vietnam. A South Vietnamese army major, Tran loaded his family onto a Taiwanese freighter, called the Hoy Fong, and embarked for a new life in Los Angeles. That ship would one day become his company’s namesake, and Tran would become the reluctant founder of a multi-million-dollar hot sauce empire, realizing the American dream without ever searching for it.// A wonderful piece on a sauce everyone uses. Tran’s story is fascinating, certainly not your normal millionaire. China and Iran: Destined to Clash? – The Diplomat Even as the U.S. considers Iran’s nuclear program as its most immediate threat, a consensus has emerged in the U.S. foreign policy establishment that China’s rise poses the biggest long-term strategic challenge to the country. There is little indication that a similar consensus has taken hold among Iranian elites. It will. The future of Laos: A bleak landscape – The Economist THE Airbus A320 was ordered by Colonel Muammar Qaddafi, but somehow ended up as the prized possession of Lao Airlines. From a window seat flying above Laos a visitor gets a sense of the state’s weaknesses. Deforestation stretches all the way to the Chinese border. It is so recent and so extreme that scientists from Sweden’s Lund university picked Laos as a testing ground for a new method of monitoring economic activity from space. Banyan: Across the party wall – The Economist IF THE following pressing themes remind you of China, spare a thought for Vietnam: a debate over the constitution; efforts to curb the privileges of state-owned enterprises; fury over official corruption; poorly compensated land-grabs; new restrictions on online dissent; a recognition that further economic reform is not just desirable but essential; and, in politics, evidence of fierce factional struggles among high leaders.China and Vietnam have two of the few Communist Parties still in power, so it is hardly surprising that they face many of the same problems.//Most of Vietnam’s political system modeled after China’s. Too bad they decided borrow corruption and crackdowns on dissent. The United States Is Quietly Losing Its Innovation Edge to China – CFR I am not a supporter of the faddish idea that America is in decline. Despite all the hullabaloo about the rise of China, the United States still boasts the most formidable military force and the largest, most innovative economy. But as a student of international studies, I am keenly aware that the rise and fall of great nations are often associated with significant historical events.//America may be losing its innovation edge but the world isn’t always a zero-sum game between China and the US. Would be interesting to see who else is taking away from the US’s innovation edge other than China. Court Upholds Life Sentence for Bo Xilai – NYT Though the fallen Chinese politician’s story has been full of twists, the High People’s Court in the city of Jinan did exactly what everyone expected it would do. Response to a City’s Smog Points to a Change in Chinese Attitude – NYT Rising concern about pollution in China and a more active response signal that some officials are serious about tackling the chronic problem. China hit by another airpocalypse as air pollution cancer link confirmed | Jennifer Duggan – The GuardianCityscapes shrouded in thick smog have become a common scene in China. Last winter, Beijing’s ‘airpocalypse‘ garnered headlines worldwide and generated much anger and debate within China. But this week, air pollution levels in the northeastern city of Harbin surpassed the previous record levels in Beijing. Xi sets out priorities for foreign policy – The Economist President Xi Jinping called for a comprehensive strategy to engage China’s neighbours as he laid down foreign policy directions at a two-day conference that ended yesterday. China’s PLA Marines: An Emerging Force — The Diplomat As part of its Pacific pivot, the United States has been making substantial increases in its Asia-based forces, including a bolstering of the U.S. Marine Corps amphibious combat capabilities. One hypothetical scenario that the Navy and Marine Corps train for would be a strike against Taiwan and a possible amphibious combined force invasion carried out by China’s People’s Liberation Army Navy (PLAN). A key spearhead of any such action would be the PLA Marines. Expanded force supports US ‘pivot’ to Asia, says admiral – The Economist The United States has significantly increased its warship and aircraft deployments in Asia despite Washington’s budget woes, adding punch to its “pivot” to the region, a senior naval commander said. China’s Arms Industry Makes Global Inroads – NYT From drones to frigates to fighter jets, Chinese companies are aggressively pushing sales of high-tech hardware, mostly in the developing world. Outspoken Chinese Professor Says He Was Dismissed – NYT Xia Yeliang, an economist, believes Peking University made its decision because of his public support for democratization and criticism of the Communist Party. Michael Sullivan obituary – The Guardian The art historian Michael Sullivan, who has died aged 96, was one of the most distinguished experts in the field of Chinese art. He had a matchless personal experience of the civilisation that became his life’s work, and amassed the leading private collection of modern Chinese art outside the country. Author bows to Chinese censorship of his Deng Xiaoping biography – The Guardian Ezra F Vogel says it was ‘better to have 90% of the book available there than zero’ A Harvard professor and scholar of Chinese history has bowed to state censors in return for having his book distributed in China, as the gradual opening up of the country’s book market raises such issues for growing numbers of western authors. P2P Companies: The Movers and Shakers of China’s Shadow Banking — The Diplomat Credit in China is like a leaky spigot–impossible to turn off all the way. When major banks were told to stop or slow lending this spring, shadow banking emerged to fill in the gaps. To Save or Not to Save – Tea Leaf Nation China is known for saving money, and as the country has become wealthier, the household saving rate has increased. China’s personal saving rate has risen steadily since the mid-90s and now exceeds 50%, much higher than Germany’s 10%—considered high among developed countries—and more than ten times the United States’ saving rate (which is falling) of 4.6%. Kunming’s illegal street racing scene – GoKunming The ongoing obsession with car ownership in Kunming has given rise to many previously uncommon occurrences. These include daily rush hour traffic jams and epic weekend gridlock along highways feeding into central Kunming. Despite the attendant inconveniences, owning a vehicle in the city has become synonymous with status. Indian foreign affairs: Eastern promise – The Economist THE more embattled a leader is at home, the brighter the lure of foreign horizons. Manmohan Singh’s growing collection of air miles makes the point. His trip early this week to Russia, his ninth as India’s prime minister, was followed on October 22nd by one to China. Beijing pushes India’s Singh on trade corridor – GoKunming Thursday marked the end of Indian Prime Minister Manmohan Singh’s trip to Beijing. He visited the Chinese capital for three days of high-level meetings with Chinese Premier Li Keqiang (李克强) and President Xi Jinping (习近平) that representatives of both governments characterized as “historic”. The big freeze – SEA Globe A cool breeze is drifting across the tropics as ice skating rinks become increasingly popular in the region. Cold air gushes into the elevator as the doors open at the tenth floor. It is a welcome respite in Cambodia, a country more familiar with the hot and humid than with the crisp and fresh. Regional Cooperation in Central Asia: 12 Things to Know ADB In an increasingly integrated world, regional cooperation is key to the long-term prosperity of nations. Here are 12 things to know about regional cooperation among the countries in Central Asia and between Central Asia and its neighbors. Canadian Weed Finds Export Market in Asia — The Irrawaddy For the young Vietnamese dope smokers rolling up outside a smart Hanoi cafe, local cannabis is just not good enough. As with their Adidas caps, IPhones and Sanskrit tattoos, so with their choice of bud: Only foreign will do. Potent marijuana grown indoors in Canada and the United States is easy to buy in Hanoi and Ho Chi Minh City, say regular smokers, and it sells for up to 10 times the price of locally grown weed. That’s perhaps surprising given that marijuana is easy to cultivate regionally, and bringing drugs across continents is expensive and risky. Erickson and Strange: Pragmatic Partners, the Unsung Story of U.S.-China Anti-Piracy Coordination – CFR U.S.-China maritime engagement, particularly in China’s nautical periphery, remains rife with mistrust, overlapping interests, and uncertainty. Strong official statements and emotionally charged saber rattling characterize much of the discourse in this region. 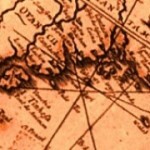 In August 2012, for example, PLAN Rear Admiral and frequent CCTV commentator Zhang Zhaozhong declared that the United States would “run like rabbits” in the event of Sino-Japanese conflict over East China Sea territorial disputes. Indeed, the two maritime powers are arguably primarily competitors, as opposed to partners, in the contested Near Seas. South Korea and Vietnam Between Beijing and Washington – CFR One of the most dramatic effects of China’s economic rise has been the potential strategic dilemma facing South Korea (and the other countries in East Asia), as it depends on relations with China as a major source of economic growth while it still relies on Washington for security. As reflected in President Park Geun-hye’s discussion of the “Asian paradox” and her Northeast Asian cooperation proposals, South Korea’s strategic preference is to avoid having to make a choice between Washington and Beijing. Cambodian Flood Victims Drowning in Debt – The Diplomat With tears streaming down her face, 36-year-old El Sarifat describes how she is “terrified” of losing the modest wooden two-tier home she shares with 13 relatives. She returned to the house that perches on stilts over the Sangkae River, Battambong province last Friday after it was completely submerged by this year’s month-long flooding, which to date has left 134 confirmed dead. Malaysian PM Shores-Up Support — The Diplomat Internal elections within the United Malays National Organization (UMNO) have resulted in Prime Minister Najib Razak shoring-up his support base amid increased competition from old party stalwarts and despite a poor showing at the May national poll. Among those who attempted to stamp themselves as potential future leaders were Mukhriz Mahathir, 48. The son of Malaysia’s longest serving leader Mahathir Mohammad, his political maneuvers have been widely viewed as an attempt protect his father’s controversial legacy. President Thein Sein Will Not Seek Second Term: Shwe Mann – The Irrawaddy Burma President Thein Sein, who has steered a wave of reforms since the end of military rule, will not be seeking a second term at the next election in 2015, the leader of his party said on Thursday. Myanmar’s Lawless Land — The Diplomat There’s no doubt that Myanmar is a country in transition. Even its harshest critics admit that the government is initiating reforms. Laws have been passed that allow participation in politics and increased media freedom. Many political prisoners have been freed, travel restrictions have been eased and ceasefire agreements have been brokered with ethnic armed groups. Burma sectarian violence motivated by fear, says Aung San Suu Kyi – The Guardian Burmese opposition leader stops short of condemning anti-Muslim violence and insists no ethnic cleansing is taking place in Radio 4 interview. Burma’s opposition leader, Aung San Suu Kyi, has stopped short of directly condemning anti-Muslim violence in the country and said that it was motivated by fear. UN warns of ‘profound crisis’ in Arakan state – DVB The Burmese government is responsible for fuelling a “profound crisis” in Arakan state, where several bouts of Muslim-Buddhist clashes have claimed hundreds of lives since last year, according to a damning UN report released on Wednesday. Myanmar Air Services Grow Rapidly Despite Safety Record – Reuters Passenger numbers are surging as new airlines spring up and foreign carriers rush in. Some officials and executives talk of turning Myanmar into a regional hub. Myanmar: Police Have Theory for Blasts – AP A series of bombings in Myanmar was aimed at scaring away foreign investors, the national police chief said Friday. Fresh protests erupt near Latpadaung copper mine – DVB Over 150 locals in central Burma’s Monywa staged another round of protests against the controversial China-backed Latpadaung copper mine on Wednesday after police and security guards began bulldozing their farms on the project site. Karenni army signs seven-point agreement with Burmese govt – DVB The Karenni National Progressive Party (KNPP) has signed a seven-point agreement with the government aimed at reaching a nationwide ceasefire in Burma. Punishments Reduced, But Burma’s Harsh Online Law Remains – The Irrawaddy Burma’s restrictive Electronic Transactions Law, under which political dissidents were in the past imprisoned for sending or receiving “detrimental” e-mails, remains in place for now, though work continues to have the code revised or replaced. Singapore’s ‘Tuition Industrial Complex’ – The Diplomat Policymakers are debating the social impact of private tuition or tutoring classes which have proliferated in recent years. The numbers are simply staggering: More than 90 percent of primary students are enrolled in after-school tuition centers while parents spend an estimated $680 million annually on tutoring services. Soon, it will be a billion-dollar industry. Talks With Thai Insurgents Stall – CFR The Thai government recently announced that its peace talks with several representatives of the southern Thai insurgents have been postponed indefinitely. As Anthony Davis notes in an excellent piece on Asia Times, this step was hardly a surprise; since Ramadan, when there was supposed to be a temporary cease-fire, violence has once again surged in the south, while Army Commander in Chief Prayuth Chan-ocha has ordered forces in the south to take more aggressive measures. Left to Languish, Costly Fire Trucks Present a Reminder of Thai Dysfunction – NYT As millions of dollars in never-used fire equipment decays in a parking lot, justice against two former officials convicted of malfeasance and bid-rigging remains elusive and questions of bribery remain. In Vietnam, the Skies Are Filling – REUTERS As local competition heats up with fleet expansions, new routes and planned share offerings, the country’s airline industry is poised for a boom. State capitalism in Vietnam: Blowing in the trade winds – The Economist BY SOME measures, Vietnam’s economy is moving at a brisk clip. The double-digit inflation that prevailed in 2011 has subsided, and exports of textiles and electronics are booming. Foreign direct investment is up by 36% year-on-year, according to Fitch, a ratings agency.Yet GDP growth is rumbling along slowly: just 5% last year, the slowest pace since 1999.